With an acceptance rate of 72%, Sam Houston State is largely accessible to applicants. Students interested in the school will need to submit high school transcripts and SAT or ACT scores as part of their applications. Most admitted students have average grades of B or higher; and, if your test grades are within or above the ranges listed below, you have a good chance of being admitted. 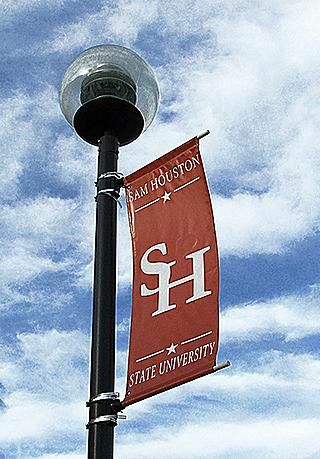 Founded in 1879, Sam Houston State University (SHSU) is a public university located on a 272-acre campus in Huntsville, Texas, a small city situated between Dallas and Houston. The majority of students come from Texas, but 60 countries are represented in the student body. The school is part of the Texas State University System, and it was originally a teacher training school. Today students can choose from 79 undergraduate degree programs. The university has a 21 to 1 student / faculty ratio and an average class size of 34 students. Campus life is active with over 200 student organizations, and the campus features a planetarium, observatory, and 100,000 square foot performing arts center. In athletics, the Sam Houston State Bearkats compete in the NCAA Division I Southland Conference. And if you're wondering what a "Bearkat" is, you're not alone. Since 1923, the mythical creature has caused much debate and confusion.